I have discovered the absolute perfect Saturday morning breakfast to enjoy with the family on a cold winter day. Using refrigerated biscuits you can make the yummiest doughnuts to eat fresh and warm from your kitchen in just minutes. Make them with the kids for a fun family breakfast to cook and eat together. Last weekend was one of the most beautiful Wisconsin winter days this year. 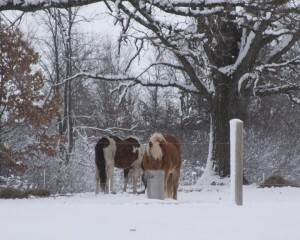 From Friday night to Sunday night we had the most peaceful and calming snowfalls. There were big fluffy white flakes falling on and off all weekend long. Everything in sight was covered in shimmering crystal flakes. The landscape was breathtaking, and all the best parts of winter in Wisconsin were at their peek last weekend. I began the weekend with my usual Saturday morning barn work. 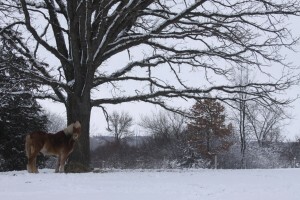 As I did my cleaning I was speechless as I stood in the doorway of the barn watching the sun come up and the flakes float to the ground. 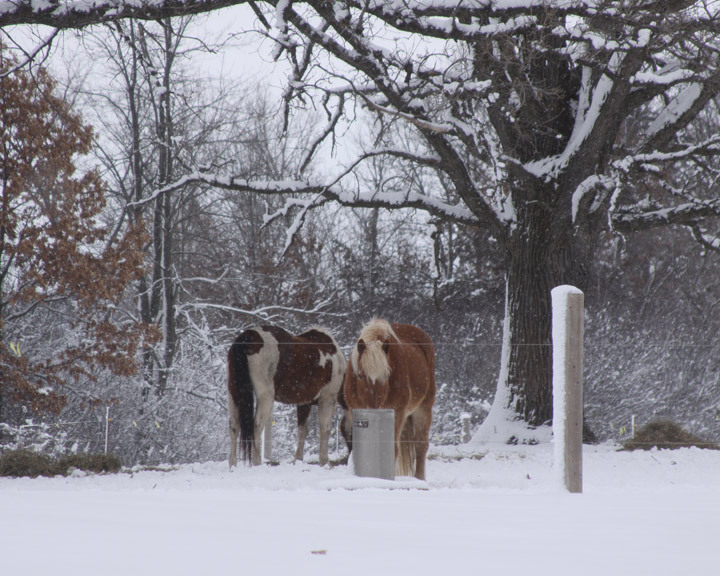 I had to go grab my camera for a few pictures of the horses and the snow covered trees, it was so pretty. After spending an hour or so outside working I was ready to go inside and warm up. I walked into the house to see the kids all snuggled up in their jammies all warm and cozy with their favorite blankets. 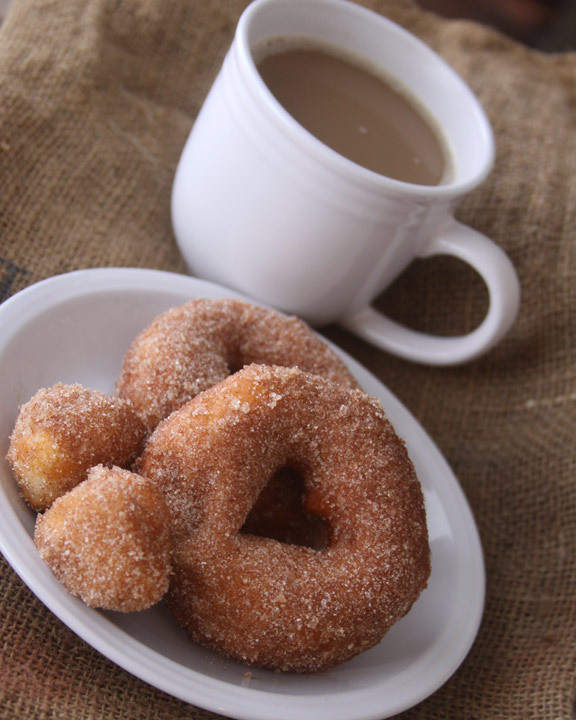 I instantly knew that it was the PERFECT morning to make some homemade doughnuts together to enjoy for breakfast. I found a really easy doughnut recipe on Pinterest via the blog Little Bit Funky that I was dying to try. Her recipe is super easy and oh so yummy. I couldn’t wait to share it with you so you can try it for yourselves. Coming in from the cold to this warm and sweet treat was a little slice of heaven. I had never tried making doughnuts at home before and wasn’t sure how they would turn out, especially because I felt like this recipe was kind of “cheating”. But just look at how beautiful they turned out. Let me tell you, they tasted as good as they look, and paired with a hot cup of coffee are the absolute best way to start a Saturday. I loved the recipe because of the few simple ingredients that it called for and that it was easy enough for the kids to help me with. I gathered my ingredients and my little helpers and we had our first homemade doughnut making experience. The whole process was really fun for the kids and I, and the hubby was even hovering around the kitchen to see what was happening. It was as simple as buying a package of refrigerated biscuits from the grocery store and cooking them in oil at home. 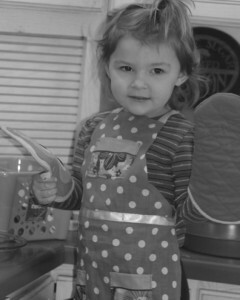 The kids enjoyed cutting little hearts out of the center of the biscuits and throwing them in to the warm oil bath. We opted to cut hearts in the center of our biscuits to create adorable little doughnut bites and a larger doughnut made with love. 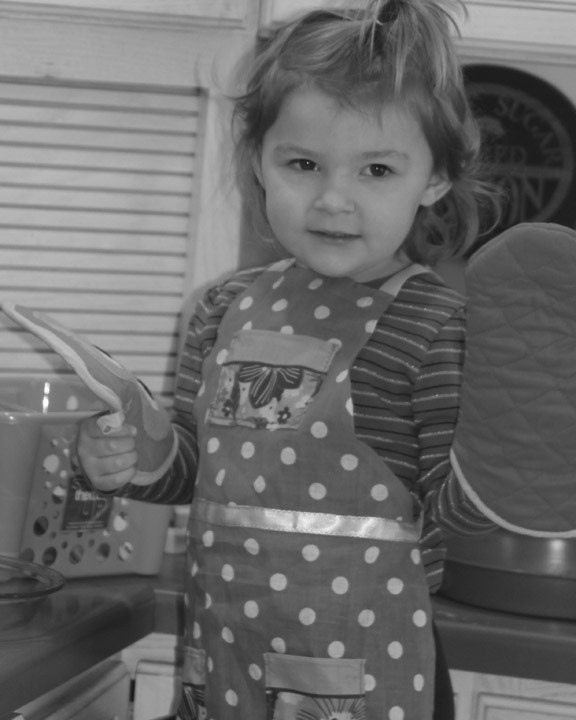 The kids had so much fun cutting the centers out of the biscuit and were thrilled with the cooking process. They couldn’t get enough of seeing the biscuit dough turn into a sugar coated doughnut right before their eyes. Before we knew it we had fresh, warm doughnuts perfectly cooked on the stove top in oil. A little melted butter, and some cinnamon sugar and we had a fabulous treat for our Snowy Saturday Morning breakfast. The hubby and I were certainly impressed with how easy this was, and how delicious they were. 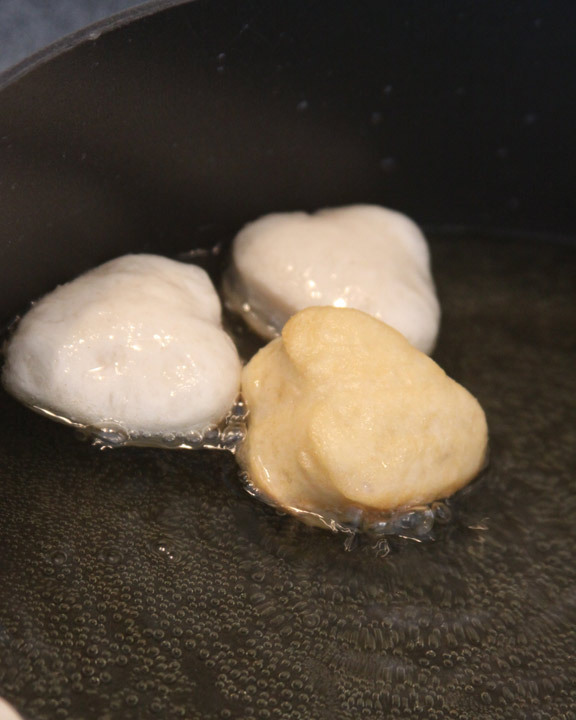 Once the oil gets hot you can start dropping your cut biscuits into the pan. Once the first side is golden brown flip the doughnut with tongs and cook the other side to golden brown as well. Remove the cooked doughnut with tongs and place it on a paper towel covered pan to cool a little. Once you can handle the doughnut, dip both sides in butter and let the excess drip off. 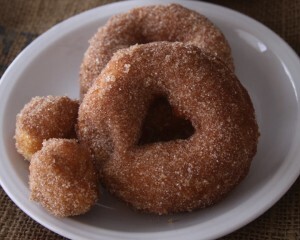 Last, roll the doughnut in the cinnamon sugar and coat it completely and Enjoy! These are so cute and delicious-looking! We will be trying these soon! I hope you love them as much as we did! So tasty, especially for how easy they were to make! Hiya! I included your blog in my recent post and wanted to make sure to let you know 🙂 Your ponies are adorable – looks like we have much in common! Thanks for the tip on the sock bun and now I gotta get started on making these donuts!! !